Tree adapted from Oosterbroek and Courtney 1995; Jaschhof and Didham 2002; Amorim and Rindal 2007. Amorim, D. de S. and S. H. S. Tozzoni. 1994. Phylogenetic and biogeographic analysis of the Anisopodoidea (Diptera, Bibionomorpha), with an area cladogram for intercontinental relationships. Rev. Bras. Entomol. 38:517-543. Amorim, D. de S. and E. Rindal. 2007. Phylogeny of the Mycetophiliformia, with proposal of subfamilies Heterotrichinae, Ohakuneinae, and Chiletrichinae for the Rangomaramidae (Dipter, Bibionomorpha. Zootaxa 1535:1-92. Jaschhof, M. and R. K. Didham. 2002. Rangomaramidae fam. 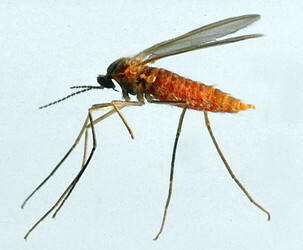 nov. from New Zealand and implications for the phylogeny of the Sciaroidea (Diptera: Bibionomorpha). Studia Dipt. Suppl. 11. Oosterbroek, P. and G. Courtney. 1995. Phylogeny of the nematocerous families of Diptera (Insecta). Zool. J. Linn. Soc. 115:267-311. Sinclair, B. J. 1992. A phylogenetic interpretation of the Brachycera (Diptera) based on the larval mandible and associated mouthpart structures. Syst. Entomol. 17:233-252. Wood, D. M. and A. Borkent 1989. Phylogeny and classification of the Nematocera. In: McAlpine J.F., Wood, D.M. (eds.) Manual of nearctic Diptera 3. Research Branch, Agriculture Canada, Monograph 32:1333-1370. Yeates, D. K. and B. M. Wiegmann. 1999. Congruence and controversy: Toward a higher-level phylogeny of Diptera. Ann. Rev. Entomol. 44:397-428.